The Slim Stamp 1444 has a maximum text plate size of 11/16" x 1-15/16" allowing you to create up to 3 lines of customized text. Perfect for a name and address stamp, email address stamp, or for your short custom message. You can upload your own logo or artwork in our stamp wizard! Customer evaluation "Slim Stamp 1444 11/16" x 1-15/16" - up to 3 lines"
Quality and workmanship was great - price was very reasonable the signature stamp came out exactly as it was written and I like the stamp itself. 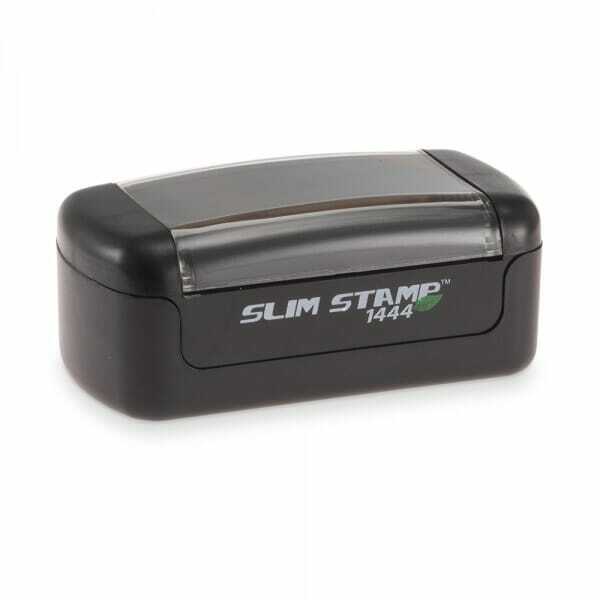 If your looking for a good quality stamp, getstamps.com is the place to look.